A couple from Sydney, Australia flew into Samoa last week to visit the country of their six Samoan workers back at home. They told the Dear Tourist team their two reasons for visiting Samoa are to have a relaxing holiday away from the winter back home and to also meet families of their workers. “We came to catch up and see our second family,” Joe D’Anastasi said. They’ve visited Savai’i, to the markets and the cultural center, which according to them, have been very nice. “I have some coins in my purse and like to give it to the little kids who sell on the streets. It is like seeing the sunrise when they smile, I can imagine how hard it is for them,” Nancy shared. 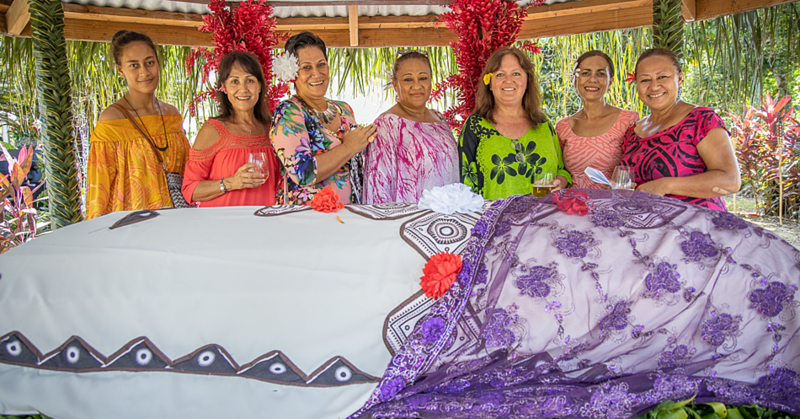 The couple met three families of their workers, who introduced them to the village life in Samoa. “I would say you got a lot more good villages here compared to struggling villages. When you go on the other side of the island, each village is struggling. Why they are struggling? I can’t work it out because the potential is immense,” Joe said. 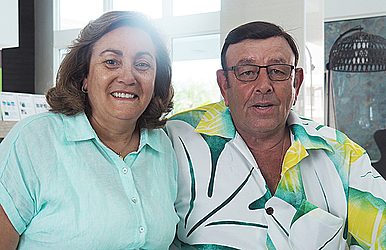 The couple sees potential in Samoa’s agricultural sector. “I know maybe you don’t have the experience, but then when one starts and teaches the other everything just growths from it,” Joe said. “On the market in town, everything has just been taro, tomatoes and coconuts, it could be so much more,” Nancy said. This experience has allowed the couple to understand their workers better. “I didn’t believe what they used to say, things are expensive and the way of life, now I do understand their way of life and I do understand when you say expensive. The experience here was unbelievable,” Joe said. Nancy added they would cherish their experience in Samoa. “I guess in terms of tourism, what hopefully the Samoans can manage to keep is their ownership,” Joe said. “The shopping opportunities on a Saturday could be more adapted to what tourists are looking for, we would have liked to have more boutiques for example,” Nancy explained. They described Samoa as a destination that deserves the limelight in the global list of tourism destination to visit. “The whole concept makes it such a good place to go, amazing people. I haven’t come across one person who didn’t welcome us, sceneries have been unbelievable,” Joe said.